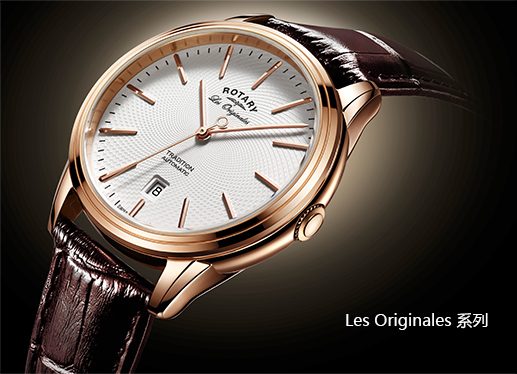 Rotary Watches Limited is an award-winning worldwide brand of classic timepieces. The firm was founded in 1895 by Moise Dreyfuss in the Swiss town of La Chaux de Fonds， is the oldest family-owned and run Swiss watchmaker. The founder, Moise Dreyfuss was dedicated to creating beautiful watches with timeless elegance. His attention to detail and insistence on first class personal service ensured the business grew quickly. Within 12 years of the founding of the company success led to the opening of a UK office. Two faces, two times, one watch….Innovative Revelation models feature two watch faces that can be set with two different time zones. Slick, differentiating coloured dials with sapphire glass set within detailed cases make these watches a design revelation. The Revelation family has dual style as well as purpose with luxury leather straps and either PVD plated or stainless steel cases; these exceptional timepieces are ideal for the busy traveller. The Ultra Slim collection of dress watches underlines Rotary’s dedication to its reputation as a superior supplier of premium quality and elegant timepieces. Both the gents and ladies models have stunning two-step dial designs that complement the classic appeal of the collection as a whole. The Les Originales range of luxury watches for both ladies and gentlemen are made to a high specification and feature sapphire glass and deployment clasps for the discerning Swiss watch owner. Add：Units 1902-04, Level 19, International Commerce Centre, 1 Austin Road West, Kowloon, HK. Copyright © 2019 Citychamp Watch & Jewellery Group Ltd.. All rights reserved.